Media Blackout makes custom cables to order based on a multitude of options. Lead times vary. Please contact us for customizations not listed on this site or to inquire about lead time. All products are assembled in Culver City, CA using globally sourced parts. We always use genuine components, sourced from authorized distributors. 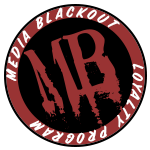 Media Blackout guarantees all of our products. Our professional products carry a one year warranty against manufacturing defects. We also offer Cable Care: a cable insurance program where we will replace your damaged cable, no matter the cause. Our Loyalty Program provides store credit for our repeat customers. We appreciate your business, and will do what we can to keep you completely satisfied with your Media Blackout purchases. All domestic orders of $250 will receive free First Class shipping, and all international orders of $500 or more will receive free DHL Worldwide Express shipping.